The Allora on Madison brings you all the excitement of urban life surrounded by the conveniences of the suburbs. Featuring 19 contemporary townhomes with rooftop decks, attached garages and open floorplans. The developer and architect went to work to capture the key spaces that Buyers have been telling us they want and need. 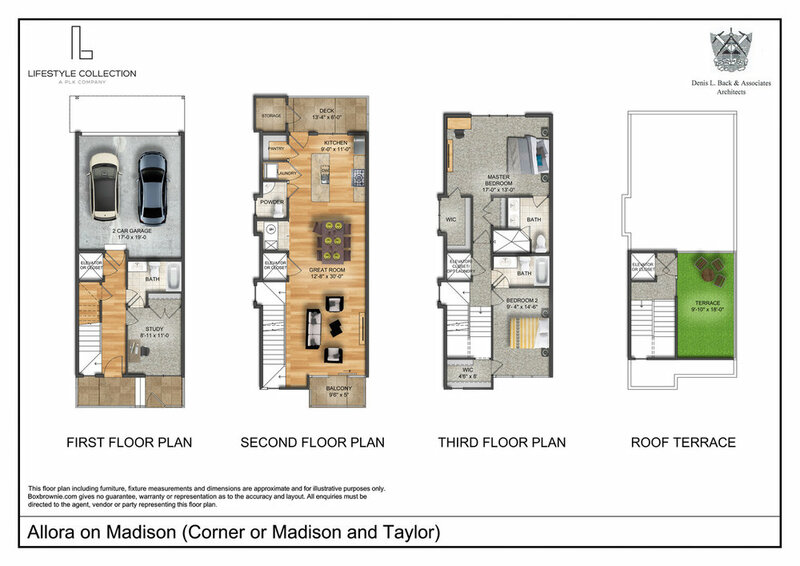 With an open floor plan perfect for entertaining, a larger master bedroom and even space for an elevator (now or in the future), you really can have it all in these townhomes! Each unit at The Allora on Madison is a spacious, light filled modern floor plan featuring designer-selected hardwood floors, painted cabinetry, quartz countertops and high end tiles. Each buyer can select from one of three curated designer finish packages. Contact us today to touch and feel each of these selections.